Reminder for those visiting San Francisco, it's chilly in the summer here, so you might want to pack some warm clothes. Or just pick up a vest from the vending machine at the airport. 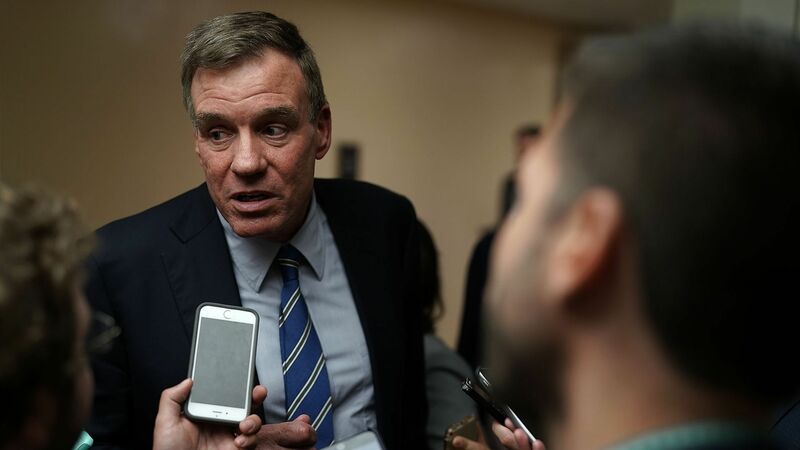 In a policy paper obtained by Axios, Sen. Mark Warner's office laid out 20 different paths to address problems posed by Big Tech platforms. The ideas range from putting a price on individual users' data to funding media literacy programs, according to Axios' David McCabe. Why it matters: The paper — prepared by Warner’s staff and circulated in tech policy circles in recent weeks — is a window t0 the options available to U.S. policymakers concerned about disinformation and privacy. Enacting any of these plans is a long shot in the near-term, but a shift in control of Congress could give them more momentum. The details: Options listed in the paper range from relatively small lifts to more drastic policy changes. The paper focuses on three areas: combating disinformation, protecting user privacy and promoting competition. New resources and roles for government: The paper raises the prospect of new federal funding for media literacy programs that could help consumers sort through the information on online platforms. But it also goes further: One idea would be to make platforms legally liable for claims like "defamation, invasion of privacy, false light, and public disclosure of private facts" if they fail to take down doctored video and audio or so-called deep fakes (or fabricated footage), if a victim secured a necessary judgement regarding the sharing of that content. Another would hang an "essential facility" label on certain widely-used tech products, like Google Maps. That would require them to offer access on "fair, reasonable and non-discriminatory" terms and not engage in "self-dealing or preferential conduct." New powers for consumers: Warner’s staffers raised the idea of a law mimicking Europe’s GDPR privacy rules in the U.S. or offering a more limited right for users to consent to the use of their data. What they’re not saying: The list doesn’t include the possibility of breaking up any of the large tech platforms — as some activists have called for — or establishing a new federal regulator for digital issues. Reality check: Even with vocal support, major tech policy proposals often fail to reach the velocity they need to actually be enacted. A Democratic wave in November could put more momentum behind these ideas — but for now they remain just that. Go deeper: David has more here, including the full paper. After a strong earnings report from Google, and weak ones from Facebook, Twitter and Juniper Networks, it will be interesting to see what this week's reports say about the overall health of the tech industry. Reports are due from a number of other key players, including Apple, T-Mobile and Sprint. Why it matters: Apple, in particular, will be closely watched, as it's the last of the remaining giants and such a big driver of the tech economy. Should it, or the other reporting companies, suggest weakness, it could mean there are broader issues in tech. The other side: It could just be problems unique to Facebook and Twitter. "The disappointment from Facebook and Twitter was more due to their outlook than anything else," Wedbush Securities analyst Michael Pachter told Axios. "Facebook warned of deceleration in growth and Twitter said to expect MAU [monthly active users] to decline by 2%. Neither [is] showing enough growth to justify premium valuations." Meanwhile: When it comes to Apple, the June quarter is usually its smallest quarter. All eyes will be on the company's guidance and what it implies about the next iPhone both in terms of timing and expected volume. Apple is unlikely to say much, but its financial outlook often gives some indications. Rumors suggest three new iPhone models for the fall. In the 1930s, New York building commissioner Robert Moses built highways and bridges, one after another, with the aim of relieving congestion in America's biggest city. But each time, the result was the same — worse traffic. Eight decades later, transportation experts are observing a similar phenomenon with the world's newest urban innovation: ride-hailing services. According to a major new study, Uber, Lyft and their smaller rivals are clogging major U.S. cities — not relieving congestion — and even more traffic may be on the way when self-driving cars are commonplace, Axios' Steve LeVine and Henrietta Reily report. On Thursday, the New York City Council began considering bills aimed at capping ride-sharing services. A vote may come as early as Aug. 8, and any cap would be a first for a U.S. city. Meanwhile, Uber and Lyft are pointing to their carbon footprint-reduction efforts. 4. Twitter to measure "conversation health"
Twitter has selected two proposals to study user interactions and discourse since putting out a call in March for help in measuring "conversation health" on its service, Axios' Kia Kokalitcheva reports. Why it matters: A growing number of users have been taking time off Twitter, using it less, or quitting it altogether in recent times as they say the service has become mentally toxic. 1. Echo chambers and uncivil discourse: This project will measure the extent of how much Twitter users interact and acknowledge a variety of viewpoints. It will also work on developing algorithms that can distinguish between incivility and tolerance. 2. Interactions and decreasing prejudice: This project will study how user behavior on Twitter can (or not) decrease prejudice and discrimination when interacting with users of diverse viewpoints. Yes, but: Twitter will still have to figure out what to do about the problematic interactions or trends these proposals unearth. And this won't solve some of the big criticisms of the company, including its policies and enforcement regarding abusive and harassing behavior. Read more of Kia's story here. Rambus and Seagate report earnings. Australian carrier Telstra ousted several executives in a restructuring of its management ranks. Among those leaving the company are its CFO and marketing chief, along with former Nokia CEO Stephen Elop, who had been a top strategy executive there for the past two years. Wired's Lauren Goode highlights how new visual search tools are helping humans make sense of an increasingly unfamiliar environment: the outdoors. "Physical retail is not dead. Boring retail is." Axios' Marisa Fernandez takes a look at how brick-and-mortar stores are fighting back via technology. The CD, meanwhile, really is dead.